Raf Simons x adidas Originals has dropped a collection of spring-ready colour ways. 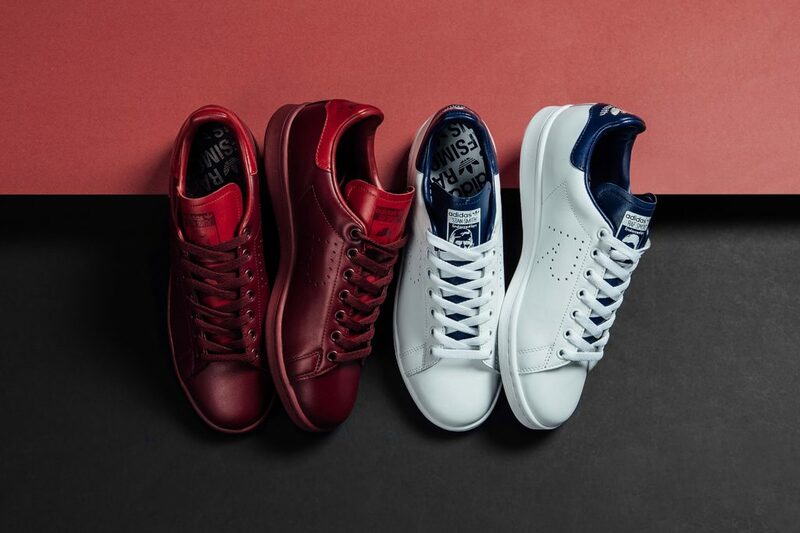 The low-tops, dubbed “Power Red” and “Night Sky,” are crafted with premium leather in burgundy and white. The premium sneakers are given sophisticated and elegant appeal with a perforated “R” logo on the side panel and traditional branding placed across the tongue and the heel tab. All of these features sit above a burgundy and crisp white midsole. Elevate your sneaker game by purchasing these premium kicks at Feature where they are retailed for USD $350. Feature is based in Las Vegas, so sign up with us to get access to our US warehouse!